Multiple chemical sensitivity—also known as MCS syndrome, environmental illness, idiopathic environmental intolerance, chemical AIDS, total allergy syndrome, or simply MCS—is a disorder in which a person develops symptoms from exposure to chemicals in the environment. With each incidence of exposure, lower levels of the chemical will trigger a reaction and the person becomes increasingly vulnerable to reactions triggered by other chemicals. Medical experts disagree on the cause of the syndrome, and as to whether MCS is a clinically recognized illness. In a 1992 position statement that remained unchanged as of early 2000, the American Medical Association’s Council on Scientific Affairs did not recognize MCS as a clinical condition due to a lack of accepted diagnostic criteria and controlled studies on the disorder. A more recent discussion of methodological problems in published studies of MCS, as well as recommendations for patient care, may be found in the 1999 position paper on MCS drafted by the American College of Occupational and Environmental Medicine (ACOEM). As of 2003, however, many researchers in Europe as well as the United States regard MCS as a contemporary version of neurasthenia, a concept first introduced by a physician named George Miller Beard in 1869. Multiple chemical sensitivity typically begins with one high-dose exposure to a chemical, but it may also develop from long-term exposure to a low level of a chemical. Chemicals most often connected with MCS include: formaldehyde; pesticides; solvents; petrochemical fuels such as diesel, gasoline, and kerosene; waxes, detergents, and cleaning products; latex; tobacco smoke; perfumes and fragrances; and artificial colors, flavors, and preservatives. People who develop MCS are commonly exposed in one of the following situations: on the job as an industrial worker; residing or working in a poorly ventilated building; or living in conditions of high air or water pollution. Others may be exposed in unique incidents. Because MCS is difficult to diagnose, estimates vary as to what percentage of the population develops MCS. However, most MCS patients are female. The median age of MCS patients is 40 years old, and most experienced symptoms before they were 30 years old. 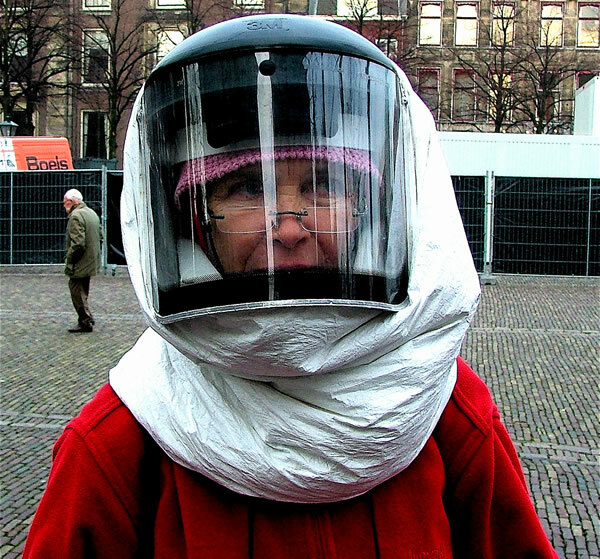 There is also a large percentage of Persian Gulf War veterans who have reported symptoms of chemical sensitivity since their return from the Gulf in the early 1990s. 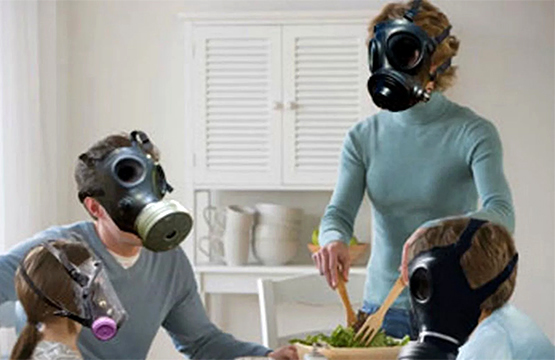 Chemical exposure is often a result of indoor air pollution. Buildings that are tightly sealed for energy conservation may cause a related illness called sick building syndrome, in which people are thought to develop symptoms from chronic exposure to airborne environmental chemicals such as formaldehyde from the furniture, carpet glues, and latex caulking. A person moving into a newly constructed building, which has not had time to degas (or air out), may experience the initial high-dose exposure that leads to MCS. The symptoms of MCS vary from person to person and are not chemical-specific. Symptoms are not limited to one physiological system, but primarily affect the respiratory and nervous systems. Symptoms commonly reported are headache, fatigue, weakness, difficulty concentrating, short-term memory loss, dizziness, irritability and depression, itching, numbness, burning sensation, congestion, sore throat, hoarseness, shortness of breath, cough, and stomach pains. One test that has been devised to evaluate patients with MCS is the capsaicin inhalation test. Capsaicin is an alkaloid found in hot peppers that is sometimes used in topical creams and rubs for the treatment of arthritis. When inhaled, capsaicin causes coughing in healthy persons as well as those with allergies that affect the airway; however, persons with MCS cough more deeply and frequently than control subjects when given a dose of capsaicin. Although the test is not diagnostic in the strict sense, it has been shown to be an effective way of identifying patients with MCS. Multiple chemical sensitivity is a twentieth-century disorder, becoming more prevalent as more human-made chemicals are introduced into the environment in greater quantities. It is especially difficult to diagnose because it presents no consistent or measurable set of symptoms and has no single diagnostic test or marker. For example, a 2002 study of PET scans of MCS patients found no significant functional changes in the patients’ brain tissues. Physicians are often either unaware of MCS as a condition, or refuse to accept that MCS exists. They may be unable to diagnose it, or may misdiagnose it as another degenerative disease, or may label it as a psychosomatic illness (a physical illness that is caused by emotional problems). Their lack of understanding generates frustration, anxiety, and distrust in patients already struggling with MCS. However, a new specialty of medicine is evolving to address MCS and related illnesses: occupational and environmental medicine. A physician looking for MCS will take a complete patient history and try to identify chemical exposures. The most effective treatment for MCS is to avoid the chemicals that trigger the symptoms. Avoidance becomes increasingly difficult as the number of offending chemicals increases; things as seemingly harmless as air freshener devices, scented soaps, and perfume can trigger serious reactions in MCS patients. Individuals with MCS often remain at home where they are able to control the chemicals in their environment. In many cases, it may be recommended that an individual turn one room in his or her home, usually the bedroom, into an environmentally safe haven by removing all known chemical irritants and furnishing it with 100% natural materials. The isolation that is a necessary part of treatment for MCS patients limits their abilities to work and socialize, so supportive counseling is often appropriate. Many MCS patients undergo food-allergy testing and testing for accumulated pesticides in the body to learn more about their condition and what chemicals to avoid. Eliminating foods with artificial colors and flavors, preservatives, monosodium glutamate, and other additives can help to lessen MCS symptoms, as can choosing pesticide-free, organically grown fruits and vegetables. Some MCS patients find relief with detoxification programs of exercise and sweating, and chelation of heavy metals. Acupuncture can give added support to any treatment program for MCS patients. Yoga, massage, and aromatherapy may be helpful in relieving stress symptoms associated with MCS. However, great care should be taken when selecting aromatherapy oils for MCS patients, and the practice is best left to a trained aromatherapist familiar with MCS. Essential oils should be verified as 100% unadulterated and nonchemically extracted. If a negative reaction results from the use of a particular oil, the MCS patient should stop using it immediately and consult his or her healthcare professional. A number of herbs may be prescribed to treat the symptoms of MCS. They should also be prescribed and selected with great care, especially in those patients who suffer from known food allergies. Herbs should be recommended by a trained herbalist or naturopathic healthcare professional, and small sample doses may be administered before trying full dosage strength in order to check for an allergic reaction. Milk thistle (Silybum marianum) can be useful for cleansing the liver after chemical damage. Once MCS sets in, sensitivity continues to increase and a person’s health continues to deteriorate. Strictly avoiding exposure to triggering chemicals for a year or more may improve health.